Those who have attended one of my Cellaring classes will see a familiar theme here. When you are evaluating your own wines, it pays to include wine appearance as this may be the first indication that your wine needs attention. 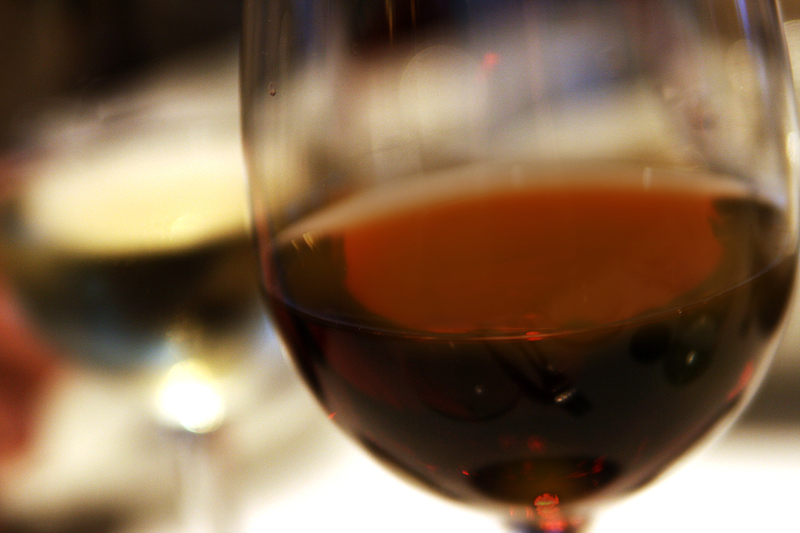 So let’s look at some reasons that wines look cloudy, filmy or brown. One of our stability goals in the full maturation of wine is to settle out the yeast and other solids, leaving a bright radiant appearance. This will gradually happen over the course of the first 3-5 months of post-fermentation storage. If the wine hasn’t completed the sugar fermentation and/or the malolactic fermentation, actively forming CO2 will keep solids in suspension and will only settle once fermentation ceases. It’s important to check for completion of these fermentations so that you can begin protecting the wine from spoilage and oxidation with regular additions of sulfite. 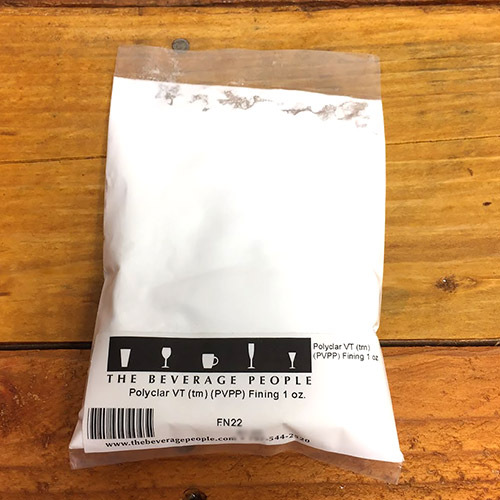 If you haven’t completed these fermentations, I would recommend moving the wine to a warmer location, or heating the fermentor or storage area until testing shows less than 0.4% residual sugar and malic acid is 30 ppm or less. Both sugar and ML fermentations are best completed within a couple months of harvest to preserve wine quality and inhibit the growth of unwanted spoilage microorganisms. Don’t risk wine stability waiting for ML to complete over months of unprotected storage; you run the risk of spoilage from acetobacter and wild yeasts. 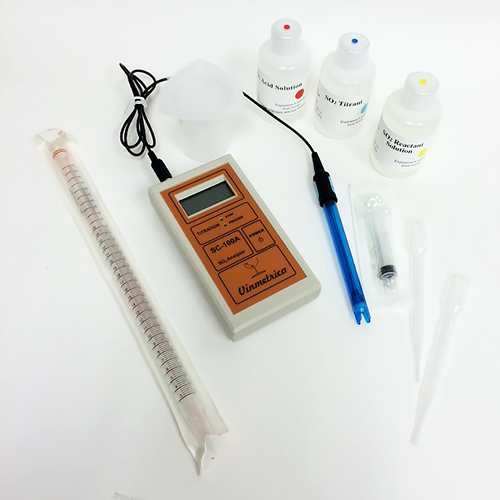 Use our Vertical MaloLactic Chromatography Kit to be sure. 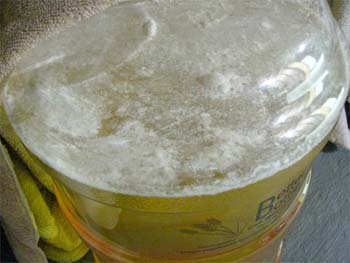 Unprotected wines can develop a surface scum or film. If present, it would be a strong indication of the presence of a film or flor sherry yeast and an absence of free SO2. Our main concern is that active spoilage reduces wine quality and shortens aging potential. This type of spoilage isn’t dependent on the presence of sugar, but consumes alcohol and organic acids. This type of wild yeast infection occurs due to poorly cleaned or sanitized equipment. The wine will suffer the effects of oxidation if it doesn’t receive attention. Treatment involves racking the clean wine out from under the film, generously leaving the film and some wine behind. Transfer and fill – very, very full – another container and sulfite with a minimum of 30 ppm. Repeat the SO2 addition in about a week. Then test for free SO2 with your Aeration/Oxidation kit, or Vinmetrica kit or by bringing in a sample to The Beverage People to send to the lab. Filtering with a 0.45 micron filter pad may also be used to remove the yeast. This type of filtration is available from BUON VINO or we rent it for $35/day. Red wine can begin to turn a dusty-brick red or brown color when the head space is too large or the free SO2 is too low. This may be more difficult to remedy. Best practice is to always keep the containers filled – within an inch or so of the stopper. When caught early, simply add the appropriate sulfite to an active free level of 30-40 ppm and top containers full. If left too long, for months, it is not reversible and flavors and aromas will be altered. Negative results include less fruity aromas and a flat finish. Bottle early topreserve the current condition. Heed the lesson and keep up with earlier sulfite testing to make sure you avoid this condition. 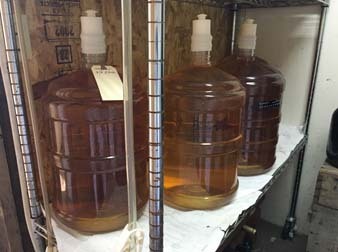 If the color of a white wine is faintly pink, and your notes show the juice was properly handled – kept cool and fermented cool – below 60°F, the color may come from the grape. It can also come from iron contact. This is fairly rare to find these days. Make sure your wine tools are stainless or plastic. Iron could come from something as simple as a pitch fork or pail used to move the grapes to the crusher. A remedy to try removing pinking is fining with PVPP. For instructions, see page 15 of the current 2016 Wine Newsletter. USE THE FOLLOWING LINK TO VIEW AND PRINT THE ARTICLE.